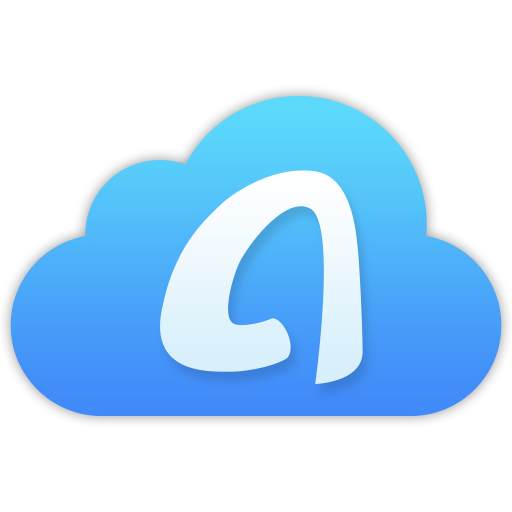 If you’re looking for a right cloud storage for Mac, then our best 4 cloud storage for Mac review is here to help. 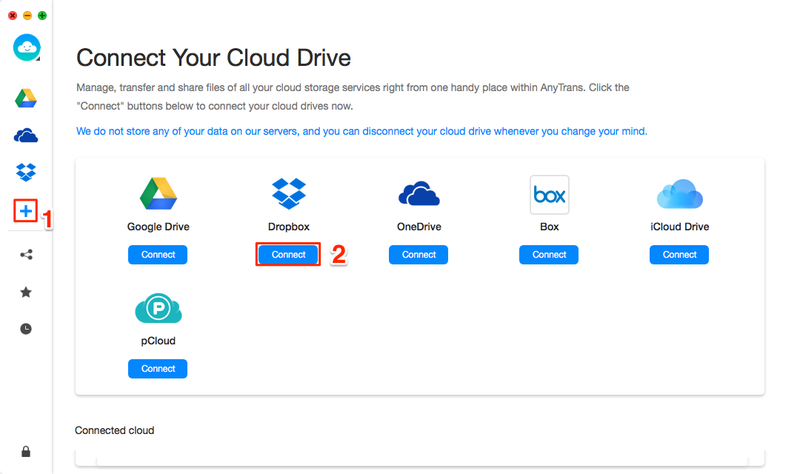 In our guide you’ll be able to get a look at the top features of Google Drive, Dropbox, iCloud Drive, and AnyTrans for Cloud. 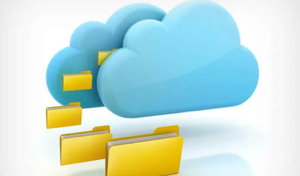 It can sometimes feel like an uphill battle trying to find the best cloud storage for Mac. Between the varying features, the different types of user-interface, and the different storage plans, it’s hard to tell which Mac cloud storage is the best. To help make the process of picking the best cloud storage for Mac a lot easier, in our guide we’ll be introducing you to four of the top options on the market for Mac cloud storage. If you’re not sure where to start with Mac cloud storage, then our four top picks will take the stress out of your cloud storage hunt! 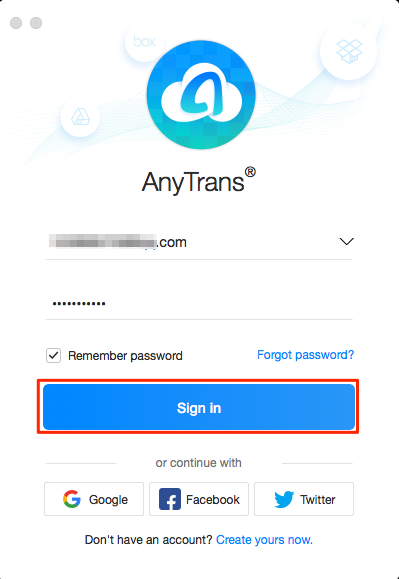 Click here to free sign up for AnyTrans for Cloud to have a try. 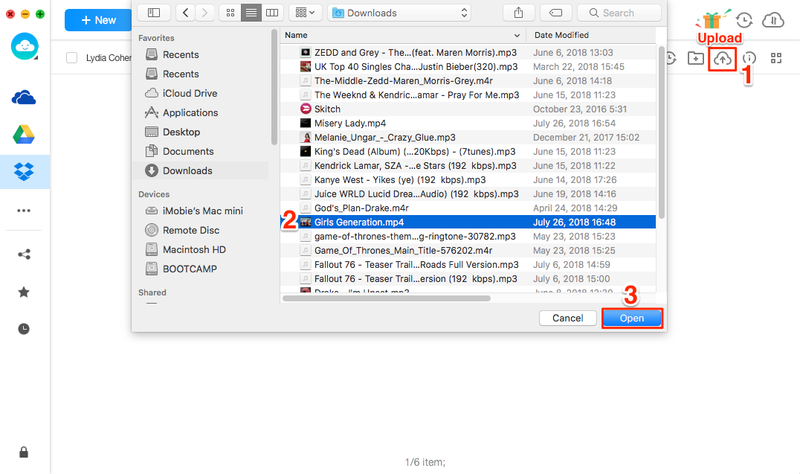 The detailed steps to upload videos from Mac to Dropbox are offered below for your reference. Step 2 Click on the “+” button and select “Connect” on Dropbox. You’ll need to sign into Dropbox to finish the connection. Step 3 When Dropbox is connected, you’ll see the drive logo appear at the top left of your screen. Click the logo to access your Dropbox and then click “Upload” button. Then all you have to do to finish the upload is to select the file you want to upload to Dropbox and click on the “Open” button. 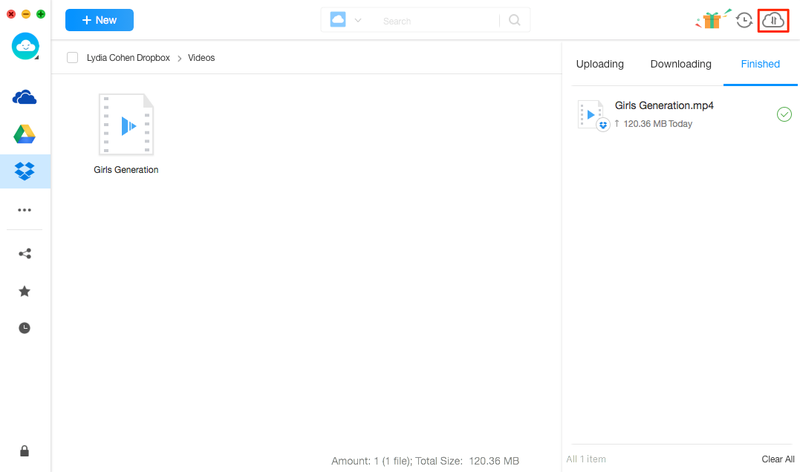 Step 4 To check whether the video was successfully added to Dropbox, hit the circled icon as shown.